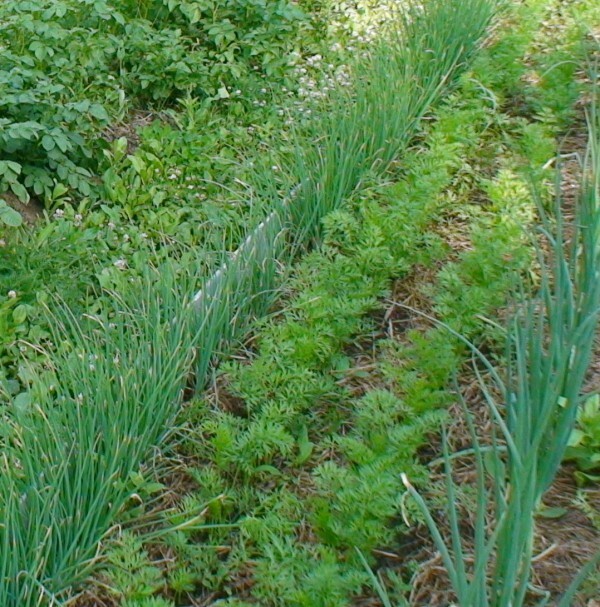 Square garden plots is relatively small, and products want as much as possible. This desire is feasible, if you correctly apply the principles of host vegetable crops. The main principle States that it is necessary to consider compatibility of cultures. Joint cultivation of some vegetables is not desirable for the reason that they are depressing each other. For example, tomatoes are suppressed turnips, cucumbers, tomatoes, beans, onions. If you plant next to these crops, it is hardly possible to obtain a good harvest. There are combinations of crops, when the plants act on each other positively. So, the peas combines perfectly with the carrots and potatoes, potatoes with corn and beans, onions with beets, beans, tomatoes, pumpkin, watermelon, melon, cucumber, peas. When composing a planting plan that should be considered. There is such a thing as dense plantings, when one culture is compacted another. For example, tomatoes and cucumbers in the same bed planted cauliflower, beans, radishes, dill, onions on the greens. Well to condense rows of carrots with onions – in the first half of the growing season the onion develops quickly, and the roots slowly in the middle of summer the leaves die and the onion, starts the formation of a carrot, then remove the onion, carrot grows freely, and as a result carrots, and onions in the same bed will give a good harvest, without interfering with each other. Similarly, it is possible to condense cucumbers, podstaw them cabbage and root vegetables. Corn o squash, pumpkin, beans and peas. Tomatoes, peppers and eggplant – green crops, beans, onions. You can also sow carrots and parsley with lettuce. To use space efficiently, can be re-used crops. After harvest of early vegetables the vacated area late seeded crops with a short vegetation period. After the spinach, dill, onions on a feather planted cucumbers, tomatoes, cabbage – early maturing varieties.